In February, Disney Fairies Pixie Hollow invited artists everywhere to create their own Fairy house design in which the director of the upcoming movie “Tinker Bell and the Great Fairy Rescue ” would choose a winner. That winner has been selected and it is none other than 15-year-old Zoe P., from Frazier Park, California. She and her family were honored on April 3 in a special ceremony atHollow Garden in Walt Disney World. Attention all you artists – time to darn your artistic skills for a new contest held by Disney Fairies Pixie Hollow. The site is seeking artistic players to create their own Fairy house design between now and February 22, 2010. The director of the upcoming movie “Tinker Bell and the Great Fairy Rescue ” will choose a winner who will receive a vacation for four to the Walt Disney World® Resort in Florida. Their creation will also be featured at the Epcot® International Flower & Garden Festival. Disney.com just launched a new destination for visitors related to their “Haunted Holidays.” The site features pages of your favorite Disney attractions including Haunted Mansion, Pirates of the Caribbean, Snow White and many more. Disney Online has launched a new site that provides in depth previews and information related to the $1 billion dollar expansion currently taking place in their California Adventure park. This new site correlates with its physical entity, providing users the ability to learn and keep up with all the expansion plans, all without having to visit the park in person. The Walt Disney Company has announced Disney’s Friends for Change: Project Green, a multiplatform environmental initiative that will help kids help the planet. Disney stars Miley Cyrus, Selena Gomez, the Jonas Brothers and Demi Lovato are among the 29 young stars participating in outreach messages to debut on Disney Channel, Disney XD, Radio Disney and Disney.com. Are you doing something unique to help save the world? Whether you’ve started a neighborhood recycling program or devote your Saturdays to collecting trash and planting trees in your town, Disney Family.com wants to know about it. Submit the most innovative way you’ve gone green to The Great Green Challenge contest and you could win a vacation for four to Costa Rica! 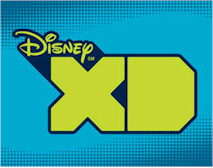 Disney Online, part of the Disney Interactive Media Group, today introduced DisneyXD.com, the online and mobile Web destination for the new Disney entertainment brand designed to appeal to kids and teen boys. An abundance of action-based games, full-length video and customizable community features populate the site focused heavily on themes of adventure, accomplishment, gaming, music and sports.